...eggs? He says that in the States nobody would even dream of buying an egg that had been stored at room temperature on an ordinary shelf in a supermarket the way they are displayed in supermarkets here. Even in winter US eggs, he says, are always kept in chiller cabinets at about 40 degrees F (ie around four or five degrees C). He says it's obviously the right way to store eggs because it was the same when he went to Australia and Japan ...eggs in all the supermarkets there are always in nice cool chiller cabinets. Why don't our UK supermarkets do the same? I couldn't answer him. Is it a good or a bad thing to refrigerate eggs? I'd bet that practically everybody has a fridge with a built-in egg tray...and everybody uses it without much thinking about whether eggs need refrigerating or not. I don't use mine much because we get trays of 36 amazingly fresh eggs from a local farmer and there's only room for 8 eggs in our fridge. So the other 28 eggs sit happily on the counter top and stay there for a couple of weeks and I haven't noticed any bad eggs yet. (Mind you, we do like to keep our house a bit cooler than most folks who seem to screw their central heating up to summer heat wave levels). What are the pros and cons of fridging or not fridging eggs? My old grannie who kept geese and chickens never even had a fridge and she lived well past 90. Of course, Salmonella Poisoning hadn't been invented back then. PS About beating Salmonell, I've just been chatting about egg storage and display with another friend who says (scarily) that by EU law egg farmers aren’t allowed to wash their eggs! This is apparerently because not washing the eggs means that the egg farmers have to practice far higher standards of cleanliness and hygiene because nobody will buy an egg with poo all over it. This seems a very weird bit of bureaucratic logic to me. 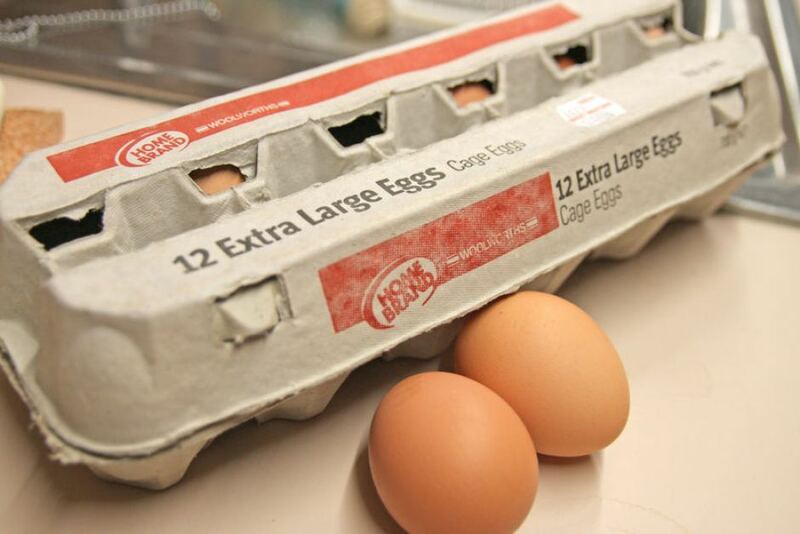 The reason that Americans refrigerate their eggs is that they have a salmonella problem. European hens are vaccinated against this so we don't have such a problem - cases dropped from 14,771 in 1997 to only 581 in 2009. (the latest figures I've found). So it's OK for us to leave our eggs out of the fridge. Personally I prefer not to. European farmers depend on the eggs’ natural, thin coating to stop bacteria from feces seeping into the egg but as American producers must rinse the eggs with chlorine this protective layer goes out the window. (That's the reason for EU ban on washing them). The Japanese, Australians and Scandinavians also wash their eggs so need to refrigerate them. It may be of interest for you to know that Australian (hen) eggs have a use by date stamped on the carton they are packaged in. This date is entirely dependent on the eggs being properly refrigerated. When not, eggs must be used immediately. It's also interesting to note that boiled eggs keep for much longer, especially when refrigerated. Bad Behavior has blocked 2974 access attempts in the last 7 days.